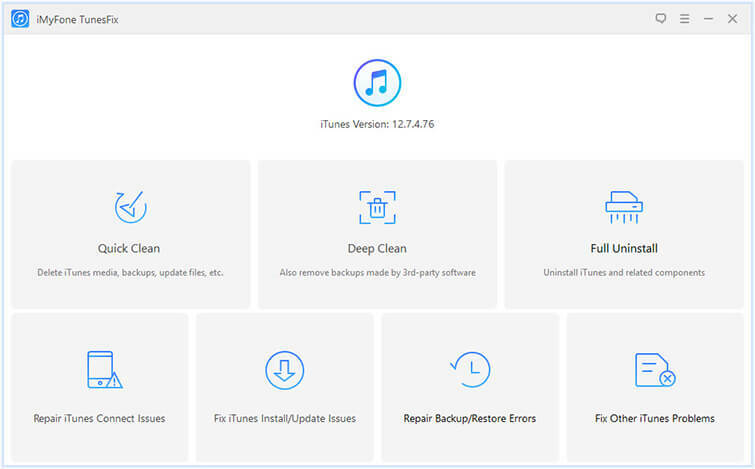 "iTunes error 45075" often comes up when you are trying to install iTunes on a PC running on windows, upgrade your old iTunes to a new one or just trying to get your iTunes to connect. Any one of these three reasons could be the case to cause this issue. 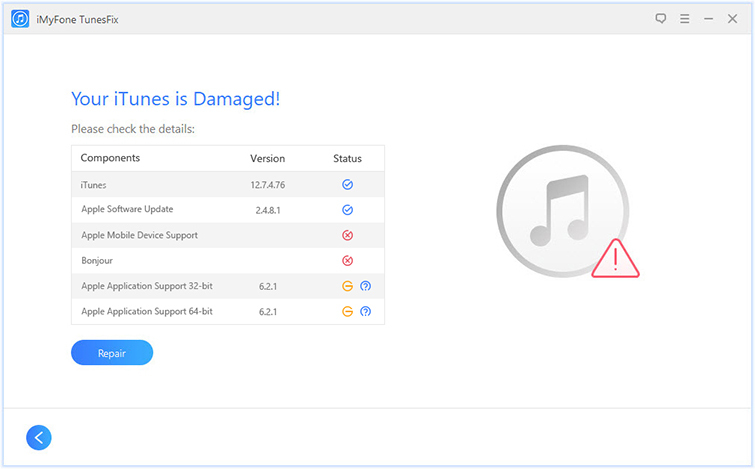 This article will discuss the ways in which iTunes error 45075 can be fixed. Fixing iTunes error 45075 is not all that straightforward. There are a couple of steps you will have to follow the methods discussed below. There are three methods that you can follow. Although there are many methods can fix this iTunes error, using iMyFone TunesFix is the most recommended one. It's efficient and said that the success rate up to 98%. With TunesFix, you can solve the problem in just 1-click. Fix varies of iTunes errors, like iTunes error 47075, iTunes error 9 and 100 more. Much more efficient than the common solutions. One click repair your iTunes, no complicated process. Quick clean and deep clean to completely erase the unwanted iTunes files. Uninstall your iTunes and all of its components. Step 1: Open iMyFone TunesFix, it will auto-detect your iTunes. If there are any issues with your components, click "Repair" button to fix them. Step 2: After repairing, you can open your iTunes to check if the error still exists. If so, please go to the home interface and select "Fix Other iTunes Problems". 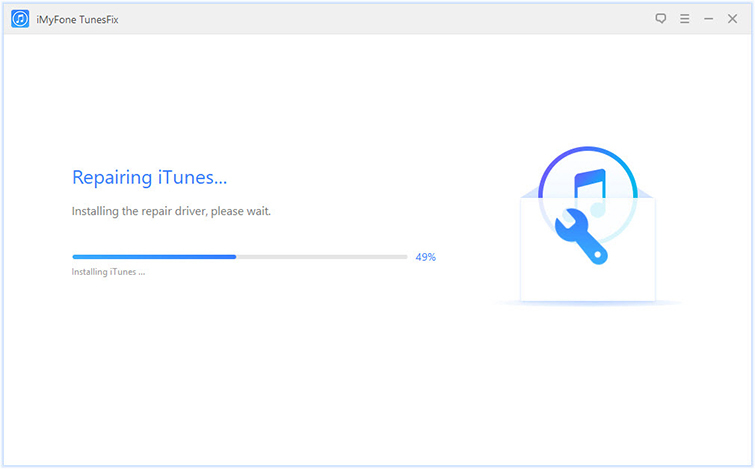 Step 3: Click "Repair" to let it fix your iTunes. Step 4: When the fix is finished, click "Open iTunes" to see if your iTunes can be used normally. 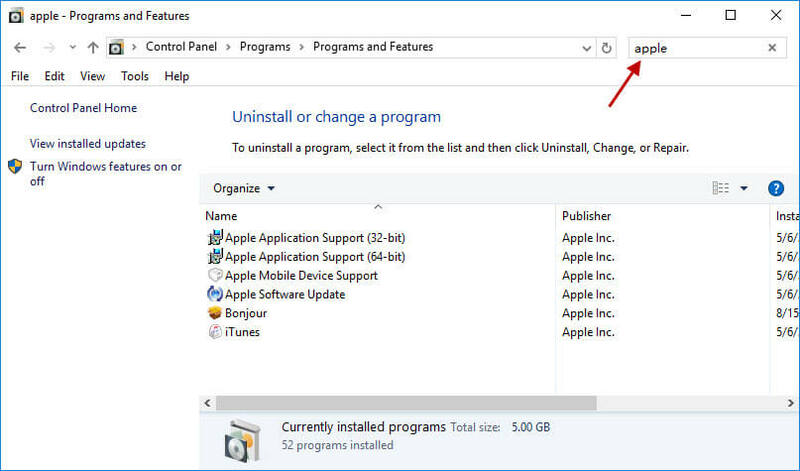 Then, download iTunes installation package from its official website and open it with any program extractor that you have on your computer. Your operations may be stopped by security software, try the following steps to fix iTunes error 45075. Step 1: Press the Windows Key and the R button. Then type the text; "firewall.cpl" in the line. Step 2: Once the window firewall comes up, check to see if the items are colored green. Step 3: If the screen is colored red, some on-screen instructions will come up; follow them. 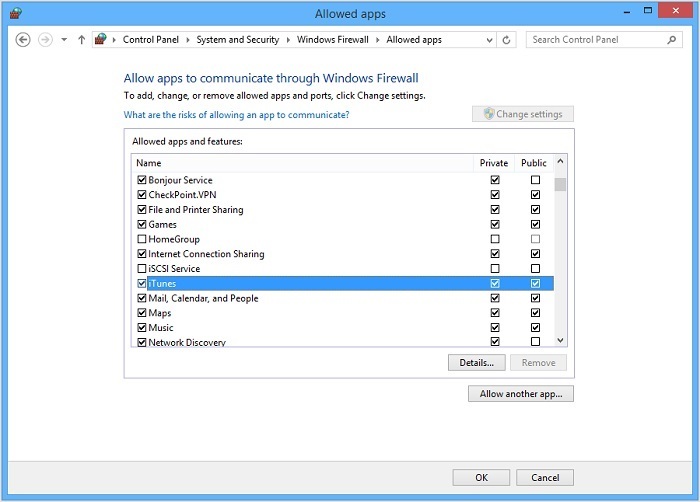 Step 4: Click on the checkbox that says "Allow an app or feature through Windows firewall", then select "Change settings". Step 5: Check if iTunes is chosen in both private and public networks and Bonjour is selected only in private network.